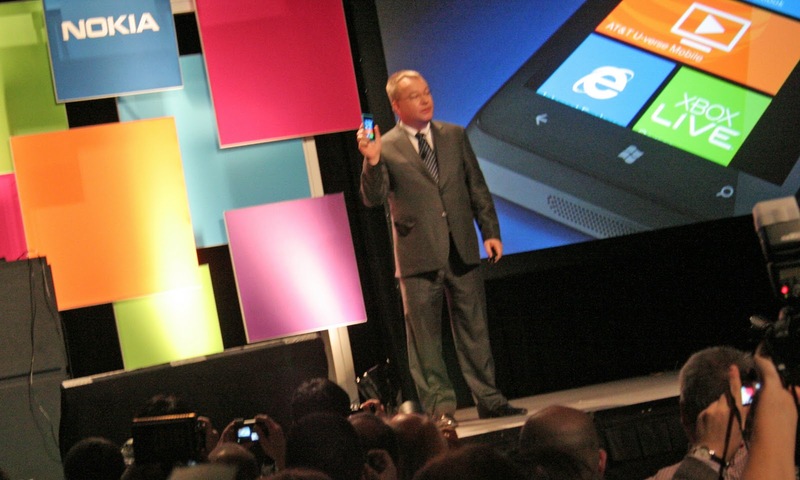 Nokia gives away 16,000 Windows phones, as Moody's downgrades credit rating. At a meeting of the Silicon Valley chapter of the Mobile Monday Group, on April 16, Nokia's Windows Phone evangelist boasted that the company has given away more than 16,000 Windows phones, in its attempt to catch up with the vast ecosystem of application developers that rivals Apple and Google possess. Nokia continues to struggle in its shift to an alliance with Microsoft for the Windows phone platform, and after announcing lower expectations for Q1 financial performance, Moody's lowered the company's credit rating to Baa3/P-3 with a negative outlook. To make matters worse, interest in the new Lumia phones from Nokia's home base in Europe is lackluster. According to Reuters, four "major telecom operators in Europe" say that the new Nokia Lumia smartphones are not good enough to compete with the iPhone or Samsung's Galaxy Android phones. Nevertheless, at the Mobile Monday event - which was sponsored by Nokia, GetJar's Mario Tapia showed that a poll of meeting registrants indicated growing support for the Windows Phone, which came in a distant 3rd choice to Apple's iOS and Google's Android. Biased as it was by the event being specifically about (and conducted by) Nokia for the Windows Phone, this was bad news for RIM, which received only half the votes of support of the Microsoft operating system. RIM has also tried the device giveaway ploy, distributing free BlackBerry Playbooks to all attendees at their developer conference last year. Nokia is taking the additional step of offering a "bounty" to developers. The company will be publishing a list, which they describe as "the most wanted apps for Nokia Lumia devices and the Windows Phone platform". In a series of events at various cities throughout North America, Nokia will be offering cash and prizes to developers for coding and delivering the desired applications. Flashy videos provided the Mobile Monday evening's entertainment, from Nokia as well as some of the companies that were featured on-stage to demonstrate their applications. A video recording of the entire event is embedded below (with commercials if you are not a paid Ustream account holder). Since the recording is more than an hour long, and low resolution, you can go directly to Nokia's "better than sliced bread" video at the link. The showcase of Windows Phone applications achieved very mixed results. Ebay began by showing off how they used the Metro tile interface, to input a series of progressively refined search qualifiers, in order to find an item to purchase from the Ebay site. Greek app developer Parking Defenders followed, and preceded their demo with an animated superhero cartoon. Perhaps this was meant to distract from the the ill-conceived app itself. The notion of Parking Defender is that users will connect through the app to create an exchange system for public parking spaces. In a manner similar to FourSquare, users will be rewarded each time they check in to offer their parking spot. Users register the location (and details on the model) of their vehicle, and select the time when they plan to leave their parking spot. Other Parking Defender users in the vicinity can search for an offered spot, and the app then facilitates an exchange, including tracking of the searcher's location until the proposed swap is completed. The notion that users would provide their personal location to strangers, along with the identity and location of their vehicle, as they approach with keys (and possibly shopping bags or other valuables) in hand, is incredibly naive. Perhaps there is no concern for personal safety or carjacking in Greece, and everyone is just occupied with the financial crisis. On the search side of the transaction, it is not clear if the app developers are aware of laws in the majority of U.S. states that ban cell phone use while driving. Regardless, public parking spots are just that.. public, so offering to trade one as if it was a personal possession is problematic, not to mention dangerous. It is doubtful that anyone who has witnessed a conflict over a parking spot would volunteer to make themselves a "Parking Defender", and put themselves in the precarious position to mediate between users and non-users of the app, who have the right to any available parking spot. We asked the CTO of Parking Defender about some of these concerns, and his response was "we don't promise spots, we are (just) handling information". In order to lure consumers to purchase a Windows Phone, Microsoft and Nokia will need to do much better than this. Smartphone buyers already have more apps available than they could ever possibly use, on the iOS and Android platforms. The new Metro UI does not, on its own, convey any significant new functionality. Microsoft and Nokia would do better to focus on making the most popular apps from Android and iOS available on their new platform, so that consumers can more seamlessly move over if they choose to do so. A bounty list is not required. It's far past the time to catch up for Nokia and Microsoft, and the clock is ticking.